Vegans can finally enjoy a frothy cocktail. Vegans might not miss meat or cheese or even deviled eggs. But what about a Ramos Gin Fizz or a classic whiskey sour? These cocktails are off-limits for those who live an animal product-free life, because you can't get a frothy head on a cocktail without egg whites. Until now. Sold under the Canada-based Ms. Better’s Bitters brand, the Miraculous Foamer is an egg white substitute specifically designed for cocktails. You use it very much like a real egg white: Add about six drops of the Foamer to a cocktail tin and shake, then build the rest of the drink as usual. 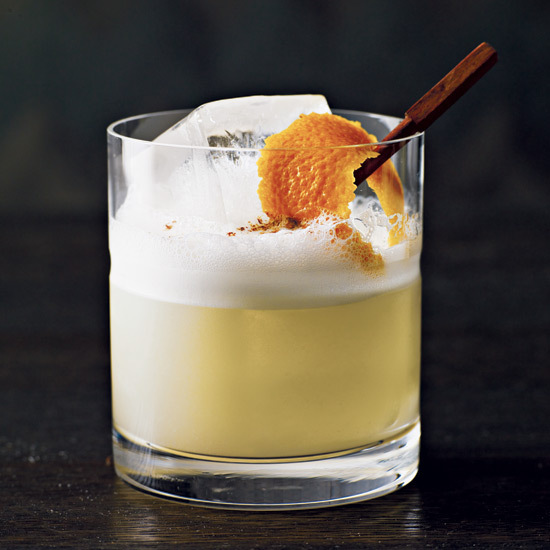 The result: A frothy, tangy, creamy cocktail, which, according to a statement from the company published in The Spirits Business, could not be distinguished from a drink made with real egg whites in blind tastings. You might be wondering: What's in this stuff? The ingredients list is slightly mysterious, but no more so than your average craft gin. The producer says it's made with a proprietary blend of botanicals, macerated in a neutral spirit. According to Vue Weekly, food technologist Philip Unger was inspired to create a vegan egg white alternative after a good friend’s son was sent to the emergency room after experiencing an allergic reaction to a cocktail made with egg. Along with vegan drinkers and people who are allergic to eggs, Unger believes the Foamer could also be useful to mainstream bartenders who want a safer, more sanitary egg white alternative. “There’s a whole bunch of really icky aspects to egg whites and this makes it super easy,” he told Vue. This stuff also seems way more convenient than real egg whites: You never have to deal with yolk separation (an anxiety-inducing process for some people), and it's shelf-stable (so it can sit proudly on your bar, instead of lost in your fridge's cardboard jungle of forgotten takeout containers). Right now, bottles of Miraculous Foamer (which contain the equivalent of 100 egg whites) are available on Ms. Better’s website for C$30 (about $22).